There’s a big difference, you know, between living and existing. I think that if you were to ask anyone, they would tell you that they want to live. But how easily we fall into that horrible thing called “existence.” How often we simply trudge through the mundane. And how sad it is that we need a reminder to live and not merely exist. Today I present you with the wake-up call I need on a daily basis. 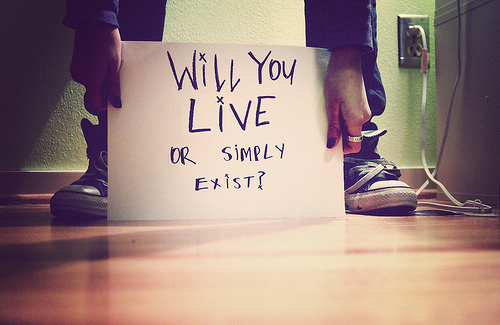 Here’s your reminder to step outside your mere existence and truly start living. ← Do You Know the Moped Man?